Is this a photo, or CGI? Consider the cutting edge technology used for the most recent super hero movie. Now consider applying that same high-powered technology to still-set photography. The results are nothing short of phenomenal. Still-set CGI has truly reached a point of being indistinguishable from photography. From an artistic perspective... realism doesn't get any more real than this. From a business perspective... it's a GIANT opportunity for brands. Roomset product photography is the workhorse of eCommerce content, but creating it under the traditional studio model is costly and inefficient. ThreeTreeCommerce CGI eliminates 90% of the expenses: set construction, product samples, freight, and real estate. To further reduce costs, ThreeTreeCommerce has formed an exclusive partnership with a team of designers based in Brazil. Due to Brazil's reduced labor costs, we are able to deliver designer-quality CGI to U.S. brands at 65% less than domestic CGI production. 3D models of the products are created with special attention to form, textures, and finishes. 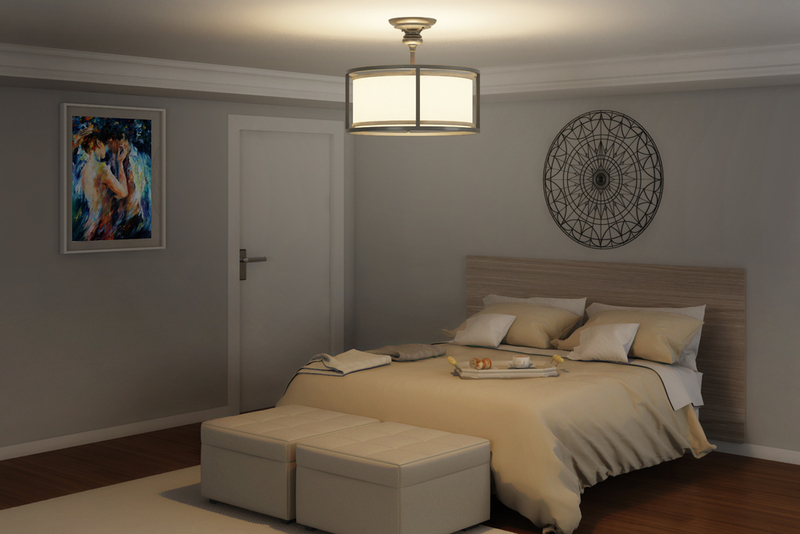 Rooms are built exclusively for your product from a bank of over 100,000 3D models of furniture, coverings, and decor. Step One: Ensures the product is precise to actual product features and specifications. Step Two: Ensures consistency across production and that the rooms speak to your market and customer base.